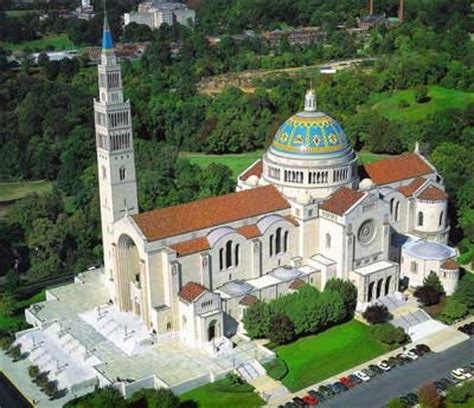 For all the years off and on that I lived in Washington, DC, I never once went to the Basilica of the National Shrine of the Immaculate Conception. Now, much of that time I wasn’t Catholic, so that doesn’t count. However, by the time of my final sojourn in the District I had come into the Church, yet somehow still never managed to get to the Basilica. But I could glimpse the dome from the subway window on my commute to Walter Reed Army Medical Center. That’s as close as I got. The sponsor is The Paulus Institute. A brief description of a “Pontifical” Mass is here.